Click the picture above to download a PDF of the story. Challenges are always best faced with a caring group of supporters at your back. 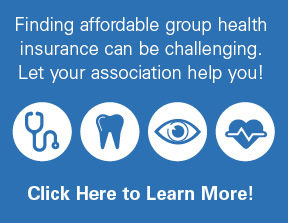 For retailers, supporters could include employees, friends and family. But retailers who work to become pillars in their communities can broaden those definitions even further. When retailers express how important the health and strength of their community is to both their business and to them personally, it creates the kinds of bonds that can raise a business to greater heights. Finding partners in the community can mean donating money to school and church groups, sponsoring organizations or planning fundraisers and hosting community events. 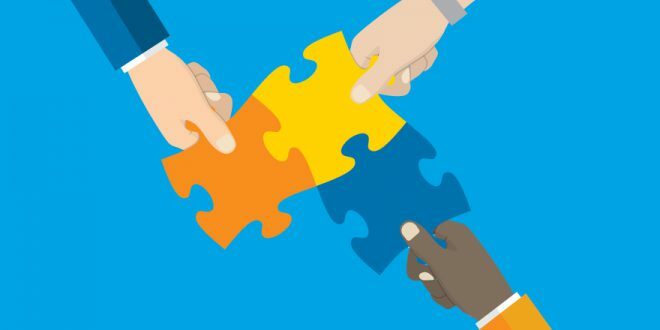 So, how can retailers identify the right partners for their business? This question is top of mind for any businessperson who is considering dedicating time, energy and funds to a partnership. The best partners can enhance a community and prosper their respective businesses. Partnering with your community is an achievable goal that requires planning and organization to mitigate risk while opening your doors to more customers and community influencers. To learn how to get started, Hardware Retailing spoke to two retailers who have expanded their community partnerships, sponsorships and events to make themselves strong members of their local business communities. 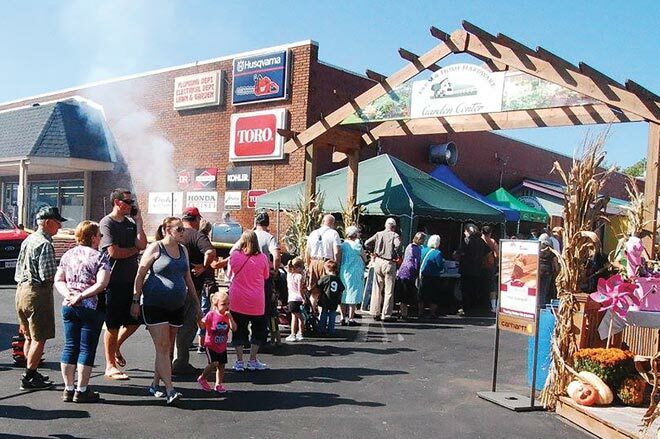 Each community has its own character, and a retailer planning to expand outreach efforts must lay the groundwork early to ensure their business is targeting the right organizations and goals to benefit the community. Setting a target for a business’s efforts in the community can help focus a strategy for donations, as well as spot potential roadblocks in the future. For Scott Jerousek, CEO of Farm and Home Hardware, outreach begins with frank conversations with those in charge of various organizations. His efforts to become a strong member of the business community started when he took over his family business in 2007. With the original Wellington, Ohio, location, Farm and Home Hardware looked to formalize its ability to donate to charities and local causes while maintaining a strong focus on local efforts that could provide tangible results in the community. Farm and Home Hardware, which operates two locations in northern Ohio, has made positive interactions a priority both in the store and out in the community. Partnerships with area schools include a training program to assist teaching life skills to special education students, and the business’s community outreach continues to focus on local efforts that can best assist and sustain the community’s culture. Jerousek recommends retailers investigate area school corporations, food banks and other local organizations, which can bring about real benefits. Schools reflect strong ties to the community, while food banks also have direct interactions with community members either in need of community support or are people who feel strongly about giving back and staying local. For a checklist of attributes retailers should look for when considering a partnership, visit TheRedT.com/partnership-checklist. 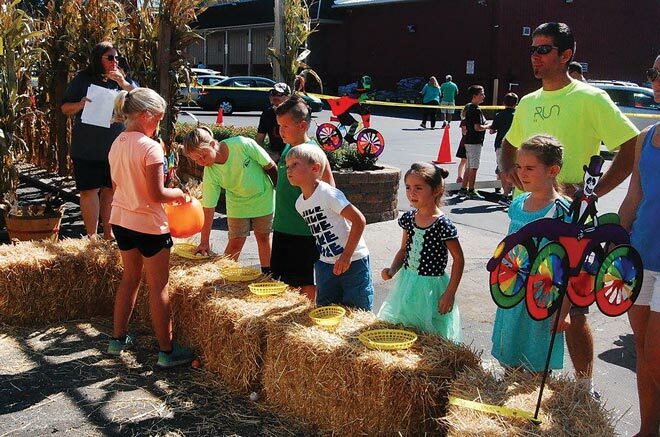 Farm and Home Hardware, which has two locations in Ohio, regularly conducts events involving partnerships with other businesses and community organizations. The business has an application process for anyone seeking sponsorships or interested in a partnership. Ace Hardware of Fort Collins in Fort Collins, Colorado, has worked with church groups and other student groups in schools in the past, with one notable example being centered around its annual Dirt Cheap sale. This promotion brings down prices on many lawn and garden products like mulch and topsoil and can bring in nearly double the average daily customer count, owner Tim Kenney says. Volunteers from these groups help customers load their purchases while collecting donations. The business also makes a donation toward the group’s goal, which is often a mission trip or traveling event. The Colorado business has built a strong infrastructure to accomplish its varied community outreach projects in the growing community of Fort Collins. The area around the store has experienced similar growth as other booming communities of the Front Range in Colorado. From offering discounted prices for area nonprofit organizations to cooking events, Ace Hardware of Fort Collins has expanded what it means to be a community partner in a growing market. Working with national organizations can have benefits as well, but Farm and Home Hardware has made a point of staying local with contributions when possible. One example was a fundraiser for autism awareness to help develop a life skills center at a local high school. The store bought ribbons and wristbands through the national Autism Speaks® organization, but it was Jerousek and his staff doing the advertising and conducting the event. Remaining as local as possible, from a fundraising standpoint and event management perspective, keeps the impact focused on local residents, he says. 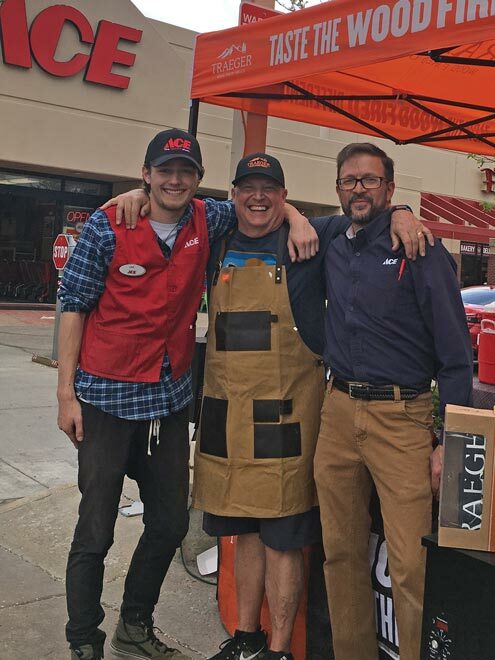 Ace Hardware of Fort Collins owner Tim Kenney (right) has expanded his store’s annual grilling event to serve a variety of community interests. To assist in evaluating potential partnership opportunities or sponsorships, Ace Hardware of Fort Collins and Farm and Home Hardware both use application forms for anyone seeking donations, sponsorship funds or to conduct potential events and programs. The application is a small addition to the process of requesting donations and sponsorships, but it allows the staff to evaluate potential partnerships and do additional research before making a decision on whether to offer a donation or other assistance. the store to receive the donation card or item. Ace Hardware of Fort Collins runs its requests through a marketing firm that also handles areas like its social media feeds, with requests then being passed on to Kenney directly. He consults with his management team to make final decisions. Jerousek employs a full-time human resources employee who also sends him a bimonthly report of all the requests and any notes from past donations. While not all retailers are able to have a dedicated employee to oversee community partnerships, Jerousek and Kenney highlight the need for a clear process to follow to make requests. The process keeps a record of money or products being donated in agreements and ensures that all requests, whether granted or denied, receive a response. Farm and Home Hardware, in partnership with local schools, conducts a program to teach life and employment skills to students in special needs classes. CEO Scott Jerousek says the partnership needed time to develop, but it eventually proved to be a strong community asset. For retailers beginning to look out into their communities for ways to contribute and people to work with, undertaking small events and programs are the most logical first steps. Building relationships and an infrastructure around them can take time. Starting out with small partnerships and sponsorships can limit the time and energy needed to make them succeed as well as any risks posed to your business. Both Ace Hardware of Fort Collins and Farm and Home Hardware grew smaller partnerships into much larger, thriving programs and events that have become focal points in the community and among area businesses. These ties highlight the steps toward growth and setbacks that can happen along the way when partnering with other organizations. Jerousek sees his role as an employer as an important aspect of community outreach and educating young people. 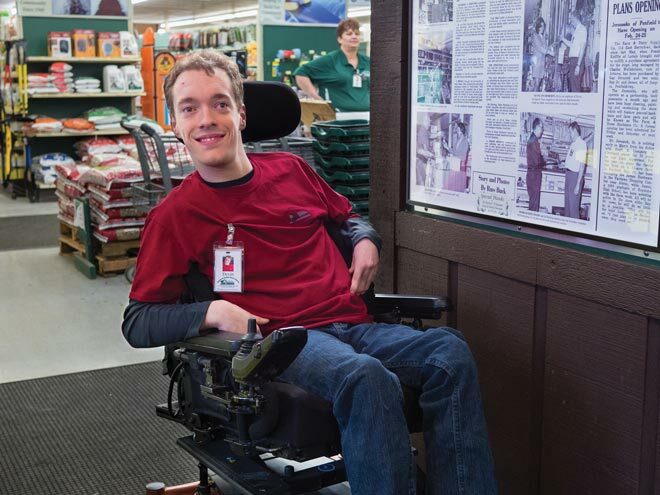 When a local mom asked if her special needs son could use the store’s garden center to walk through and engage with other people, Jerousek saw it as an opportunity to do even more. “We of course said yes, but there was so much more we could do. We got him a branded T-shirt and a key to clock in with like our employees do. It was a great success for him,” Jerousek says. That initial request led to a partnership with area schools to build a larger program around work and life education. A special needs class soon began spending time in the business, engaging in classroom work as well as spending time on the floor and interacting with customers in ways that would be expected of an employee. However, his first attempt at this program presented challenges, Jerousek says. Support around the students was lacking, especially in regard to how he had put together the framework of the partnership with the school. Support from the teachers involved was a key part of the original partnership, he says, and the level of supervision for the students from school officials wasn’t matching that of store employees. After working with the school board to address these concerns, the program was pushed forward in a better direction, allowing what had become a real problem for the store and its employees to turn into a success. For Ace Hardware of Fort Collins, a grilling event has turned into an annual gathering that allows community organizations and businesses to engage with the residents of Fort Collins. Grill Your Ace Off, an event found throughout the country at Ace Hardware businesses, has become a focal point for Kenney. Kenney credits many of his partnerships and community outreach programs with having a strong base built by the previous owners. When he bought the business in 2015 after a decades-long career in banking, he wanted to bring even more of a spotlight to community events. Grills and accessories are already a large part of his business with homeowners in the growing city, he says. He started by working with his marketing firm to target the best local charities and organizations for donations. Next, he was approached by an area business that wanted to partner with him at the event. A local window supplier was interested in assisting with the grilling event and adding a tent and some employees to help the cause. The local Humane Society then showed interest in attending Grill Your Ace Off, and more organizations and businesses followed. While no formal fee is involved, Kenney began asking partners at the event if they would match Ace Hardware of Fort Collins’ donations and the money raised through the food sold at the grilling event. That request was enthusiastically accepted, he says, with some businesses actually being able to begin conversations with their own corporate community relations departments. This led to many local businesses donating and adding matching funds to increase the overall donation. While the partnership with the window company began around charitable giving, it eventually evolved into a positive business partnership as well. Employees from the window business often set up a sales tent by the front door of Ace Hardware of Fort Collins, and Kenney’s business gets a share of any sales while providing convenience for customers. These kinds of partnerships aren’t just about enhancing community outreach. 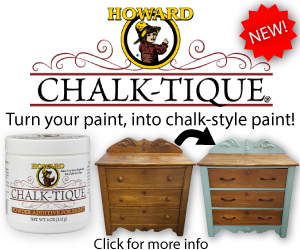 They can help retailers increase sales and serve as strong advertisements for potential customers. Communities identify businesses that make time and effort for local events and fundraisers and will often show gratitude by being patrons of those stores. 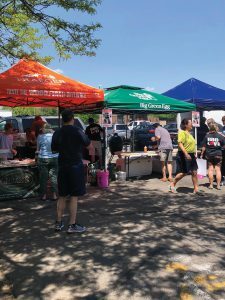 The Grill Your Ace Off event at Ace Hardware of Fort Collins has expanded to include multiple community partners as well as providing good food. 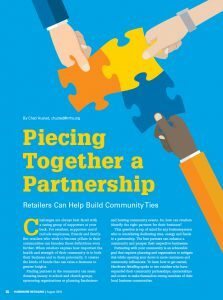 Basing business decisions on relationships with community members might be daunting for retailers just beginning to engage with outside organizations. Clear communication and shared experiences can help build those relationships over time, but getting started can be difficult with no foundation. 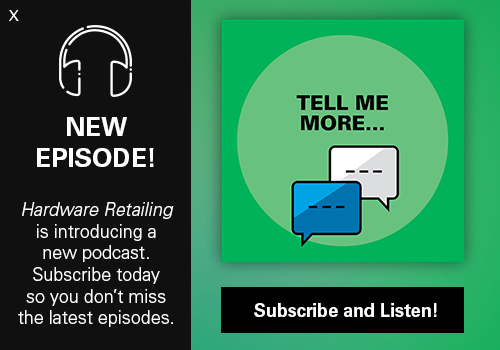 Kenney built his network of business and community partners through a long career in banking, but those relationships did not all naturally transfer when he entered the retail hardware business. Instead, he built another network, in some ways an extension of the old one but also totally new in the retail world. “I wanted to identify a network that I could envision spending time developing,” Kenney says, adding that organizations like local chambers of commerce and the Better Business Bureau assist in finding these connections. Kenney believes retailers should seek partners who are ready to provide more than just funds in support of causes. Kenney recently joined the Rotary Club, a membership he didn’t have while in banking. He didn’t advertise Ace Hardware among Rotarians and instead began volunteering wherever he felt he could help. As that relationship formed, it led to other members of the organization seeking out partnerships in the community. “Who is showing up to events—not just yours, but others that move your community forward— and contributing time, funds and effort? That’s who you want to be partnered with,” Kenney says. Even though Farm and Home Hardware has been in the Wellington business community since the store opened in 1960, the business’s recent expansion into Ashland, Ohio, with a new location meant Jerousek was forming new partnerships and starting the process from the beginning. Ashland is larger than Wellington and includes valued community entities like Ashland University. Jerousek set about meeting with the mayor, the local main street organization, chamber of commerce, YMCA, United Way and local school superintendents. 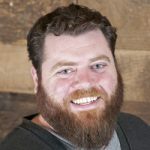 Being able to present his business’s intention to be a pillar of the community, as well as his past efforts in that regard, in a face-to-face manner helped jump-start relationships with others. Scott Jerousek and the Farm and Home Hardware team have worked to develop relationships and conduct events and community fundraisers that directly affect local organizations and priorities.